QR Codes have long been used to carry small amount of static data, such as URLs, IDs or other short binary sequences. In this paper we surveyed on the use of QR Codes to form a one way communication channel. In this context, a sender is made of a surface displaying rapidly changing code, which are picked up by a receiver's camera and converted back into a binary data stream. After presenting experimental results seeking the combination of frame rate, code size and error correction level maximizes effective bandwidth; we describe the implementation of a robust communication protocol designed, specifically for loss, simplest and low-bandwidth data links. Over findings indicate that such a protocol is sufficient for carrying at least voice quality audio in real time. M Saranya, P Vidhyasree, K Jeyapratha, S Sabitha, S Mohanraj. "QR Code Based Location Tracking System - A Survey." 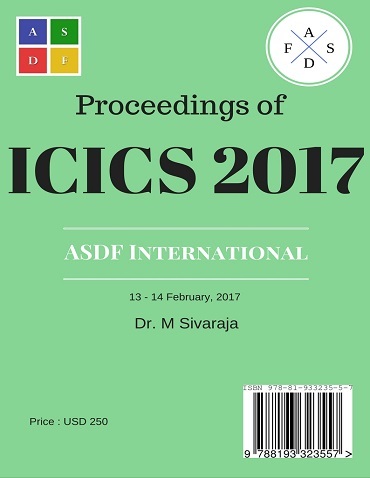 International Conference on Intelligent Computing and Systems (2017): 47. Print.